In celebration of Short Story Month, Vintage Shorts, an eBook program of Vintage and Anchor Books, will be releasing one short story each day in May. Included are works from a star-studded roster of authors, including winners of the Pulitzer Prize, the National Book Award, the National Book Critics Circle Award, and the Man Booker Prize. Plus, each week will feature a never-before-published story, from Maeve Binchy, Carrie Brown, Hari Kunzru, Alexander McCall Smith, and Patricio Pron. Use this calendar to keep track of what’s being released on each day, and share it with fellow short-fiction lovers so that they can partake in the festivities. 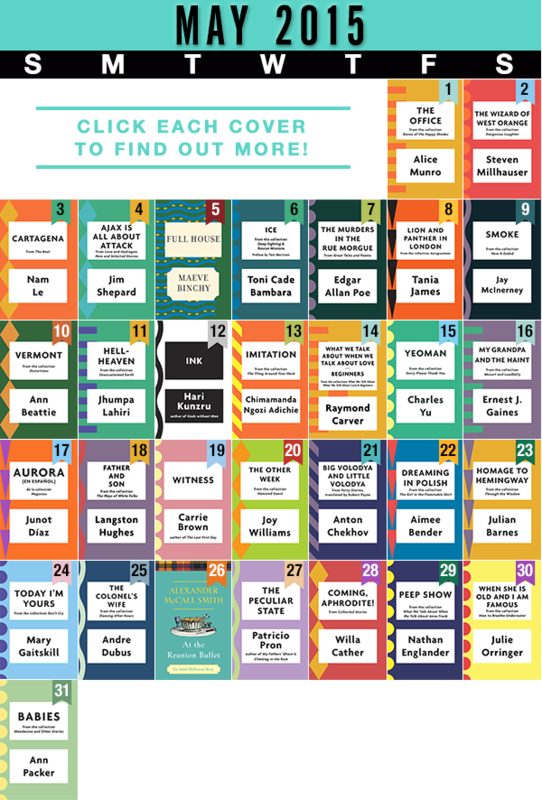 Looking for our 2016 Short Story Month calendar? Click here.